Christmas is now done and dusted and the decorations are slowly being put away. A new year is upon us and with security breaches and privacy incidents filling 2015, 2016 will certainly be a year to take your online security seriously. The festive period is a busy one for VPN providers with customers signing up to access geo-restricted content from around the world but also taking advantage of the privacy benefits a VPN offers. That said, actual updates and server expansions are thin on the ground this month as providers take a well-earned rest from a hectic year behind. Although no major changes are afoot this month some providers have still been working hard over the festive period and below I’m looking at what changes are afoot in the VPN world in January 2016. LiquidVPN has been pushing hard in the custom software stakes recently. Previously they relied on a semi-custom software solution known as Viscosity and while extremely popular with some users, I wasn’t personally a fan. Towards the latter half of 2015, LiquidVPN introduced their own custom Windows and Mac software and promised Android software would not be far behind. 2016 has brought this to fruition and although still in beta mode the LiquidVPN Android client has been released. Even though the app is currently in beta with one or two minor niggles to iron out the app is actually really good. The interface is fresh and clean and is a standard design following suit to their PC and Mac software making it an easy transition for new users to make use of the desktop clients and the new Android app. If you want to take advantage of the beta you can opt in via Google Play using this link. If you would rather wait for the general release then the app will be available on the Google Play store in the coming weeks. If you’re interested in checking the LiquidVPN service out use the button below. Mobile internet use is huge especially in the developing world and protecting your mobile privacy is only going to be a bigger concern in 2016. VyprVPN has an extremely easy to use Android app that has been available for some time but making the transition between testing their service and becoming a full paying member has always required a little desktop intervention. To solve this issue, VyprVPN have announced they now accept payment via Android Pay. 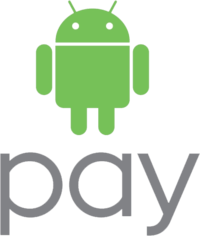 Android Pay is a mobile payment system from Google allowing you to subscribe to the VyprVPN service from within the app without the need for any desktop use. For mobile users this is great news as it allows you to move from their 3-day mobile trial account to a fully paid account seamlessly. To take advantage you’ll need the Android Pay app installed on your phone or mobile device with relevant payment details on file. After this you can simply upgrade from within the VyprVPN app. To take a look at the VyprVPN service click the button below. NordVPN has been busy this month introducing 303 new servers across their network. The United States had a massive expansion of 300 servers across the country giving a huge boost to the North American network. 2 new servers found themselves to Romania with a further 1 added in Russia. NordVPN continued their monthly updates with a rethink of their Windows GUI allowing users the ability to find the fastest server in any country rather than a cluttered list of all servers. For those who like the full server list never fear as it’s still available. Further additions to the Windows software allow for the changing of VPN protocol without the need to restart the app. Android users will be able to take advantage of these features after their Android app has finished their beta testing phase. If you’re interested in taking a look at the NordVPN service click the link below. Will Russia really block 15 million IP Address to censor one app?